Pat Metheny, one of the world’s most prominent and celebrated jazz guitarists and a 20-time Grammy Award winner, will hit Spokane Nov. 6 and 7 for a jazz clinic and concert. Metheny will lead a free jazz clinic at Whitworth University on Nov. 6, and he will perform in concert Nov. 7 with the Whitworth Jazz Ensemble at the historical Martin Woldson Theater at the Fox, in downtown Spokane. The jazz clinic with Metheny will take place on Friday, Nov. 6, at 5:15 p.m. in Cowles Auditorium at Whitworth University. Admission is free. Each elementary, middle school and high school student in attendance will receive a free ticket to Saturday’s Whitworth Jazz Concert featuring Metheny. For more information, please call (509) 777-3280. Metheny and the Whitworth Jazz Ensemble will take the stage on Saturday, Nov. 7, at 8 p.m. at the Martin Woldson Theater at the Fox, located at 1001 W. Sprague Ave. General admission is $23; students/seniors are $18. Concert tickets may be purchased with personalized service at the Box Office at The Fox or by phone at 509.624.1200. Tickets may also be purchased online at www.martinwoldsontheater.com or www.ticketswest.com, or at any TicketsWest outlet (see website for outlet locations). For more information about the concert, please call (509) 777-3280. Metheny and the Pat Metheny Group have received 35 Grammy Award nominations and have won 20, including an unprecedented seven in a row for seven consecutive Pat Metheny Group recordings (the group has won a total of 10 Grammys). He has been nominated in 12 Grammy Award categories and holds the distinction of winning in 10 of them. Metheny and his group have released 42 recordings totaling about 20 million records sold worldwide, and he has three gold records to his name. He was inducted into the Downbeat Hall of Fame in 2013. 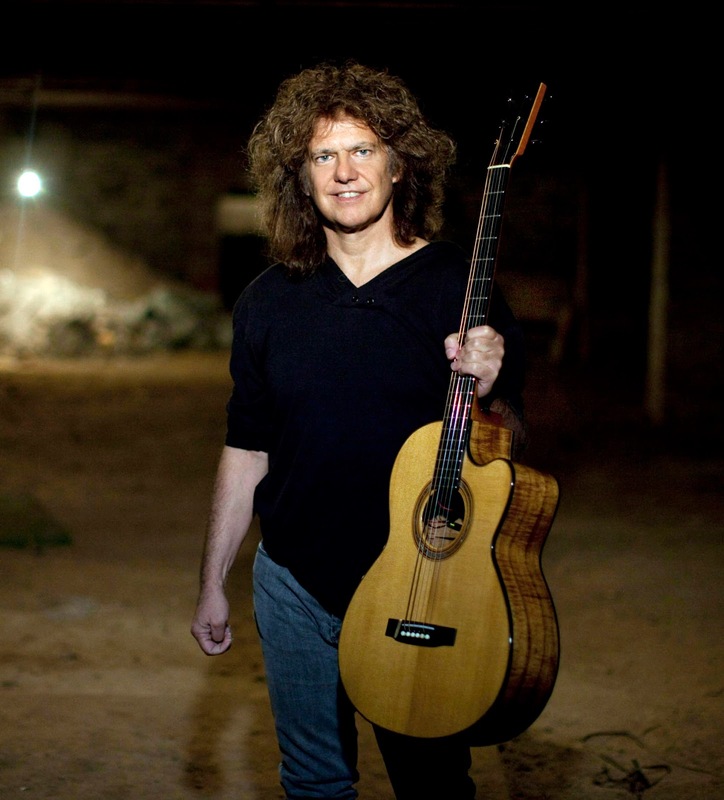 Metheny’s body of work includes compositions for solo guitar, small ensembles, electric and acoustic instruments, large orchestras and ballet pieces, with settings ranging from modern jazz and rock to classical. He has performed with artists as diverse as Davie Bowie, Ornette Coleman, Herbie Hancock, Jim Hall, Milton Nascimento and Steve Reich. For more information about Metheny’s extensive composing, performing, teaching and music innovations, please visit www.patmetheny.com. The Whitworth Jazz Ensemble performs locally, regionally, nationally and internationally, and has won numerous awards and honors over the past two decades, including top band at several Lionel Hampton jazz festivals and outstanding band at the 2013 Elmhurst Jazz Festival, in Chicago. This is the ensemble’s 28th annual guest-artist concert. The 2015 clinic and concert are sponsored by Whitworth University, ASWU, Principal Financial Group, The Sahlin Foundation, and U.S. Bank. Whitworth University Music Department, (509) 777-3280 or music@whitworth.edu.